Experience beach front tranquility at our picturesque resort on Lanta island. SriLanta Resort is the perfect escape from your day to day life with iconic rustic villas and deluxe suits spread over 12 acres of lush tropical vegetation. This is as close to nature as you can get. In keeping with “the resplendence of life” theme, our Beach House and all our hillside rooms have been designed for comfort whilst respecting the environment. Sri Lanta was built around thousands of trees and tropical vegetation, thus causing the least disruption to the natural bush on the Island. Enjoy the privacy and tranquility of our resort with a beautiful white sand beach at your front door, and the natural bushland at your back. We offer the best of both worlds at Sri Lanta. There is a small road that separates the restaurants and pools at the front, and the rustic hillside villas at the back of SriLanta. The resort’s Island location together with our great hospitality and welcoming service make this the ideal retreat for those seeking a complete escape from the distractions and pressures of every day life. 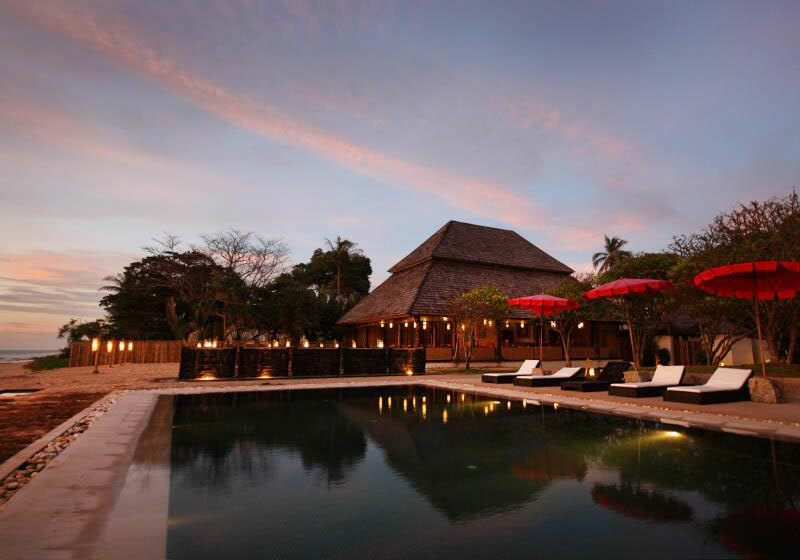 Short Description: SriLanta Resort is the perfect escape from your day to day life with iconic rustic villas and deluxe suits spread over 12 acres of lush tropical vegetation. This is as close to nature as you can get.